Munder-Skiles is synonymous with the finest handmade exterior furniture. Each chair, table, bench and chaise is carefully drawn, crafted and finished with expert care and attention to detail. For 25+ years our process of hand-building exterior furniture relies on historically researched, traditional methods along with the most advanced modern techniques. We are obsessive about the right cant and weight distribution, believing that each piece should deliver maximum comfort without cushions or, if needed, with very thin cushions. Since we build each design, we are able to offer custom dimensions, finishes and detailing. Our cushions are made to order, cut to the correct pattern and hand-stitched so that every welt is perfectly even and smooth. Today, there are well over 150+ designs in our line, many of which are true classics that have stood the test of time. What distinguishes Munder-Skiles within the surfeit of outdoor furniture companies is that our designs encourage an individual approach to individual sites. There is no single theme, no homogenous look that defines our furniture. From rigorously minimal terraces to lushly planted garden rooms, our range of styles accommodates the kind of combination of silhouettes, scale, and materials that is often a hallmark of memorable spaces and enduring designs. At Munder-Skiles, you will find nothing superfluous, only honest, pure lines, superb materials and excellent craftsmanship in everything we make down to the smallest detail. By virtue of simple elegance and a timeless air, our furniture is sought out by a discerning clientele across America and throughout Europe. 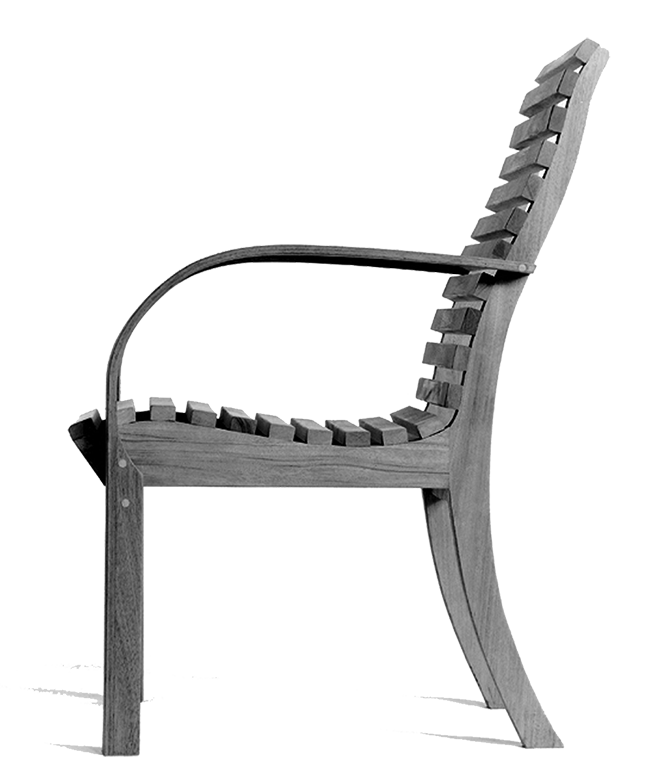 Our designs reflect our deep passion for and knowledge of exterior furniture design history, a quality our clients understand sets us apart. Although the world has become more design-literate, product life cycles have shortened, with fewer things built to last. We believe this diminishes the possibility for the joy and meaning that beautifully designed handmade objects give to our daily lives. Our response to this is furniture crafted with skill according to time-honored methods from materials chosen to suit their purpose and to promise lasting comfort and beauty.